Why some western politicians dare to press Kiev over its choice between the EU and Russia? What do you think about the petition on the White House web site demanding sanctions to be imposed against Ukrainian President Viktor Yanukovych? Western politicians respond to Ukraine's own request of a closer integration with the EU. It is not the EU, but Ukraine who demanded that a clause will be written in the Association agreement, saying that Ukraine will be on the path to membership after the goals of association will be fulfilled. On the petition i think that these were Ukrainians who created the petition, in order to do that you just put any valid zip code, the system built on trust is easy to manipulate with. A genuine American concerned with the situation would write to his or her congressman, demanding that a legal action should be taken, like putting up something like Magnitski list against Ukrainian officials involved in the obstruction of justice or money laundering and corruption. I dont think however that the US will take any such action since the current regime proved cooperative on fracking and sea floor drilling. Ukraine is facing a really challenging decision to make concerning its European integration. What will make Kiev change its mind concerning the recent suspension of the EU trade deal? Ukraine does not face any decision, its a long term goal to integrate fully with the EU, written in the important pieces of legislation. Recent decision by Azarov`s government is simply illegal and smells of a state treason - to some polititians to say the least. 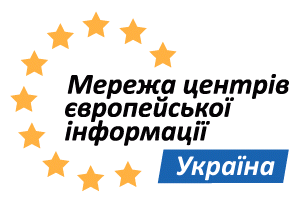 As for the association agreement although its larger share is taken up by the deep and comprehensive free trade agreement, it is an important political statement of shared values, so the challenge for Ukraine is to live up to those high values, end up the undemocratic regime and start reforming its economy to face the competitive pressures of EUs common market. In your opinion, what are the criteria Ukraine should stick to while deciding on its cooperation with the EU and Russia? Its about the futures that we want - prosperity, rule of law and democracy, or otherwise. The rest is manipulation. Is it possible that Ukraine would hold a national referendum on the issue? Not on the association agreement. It does not include membership, it does not subject Ukraine to supranational bodies, doesnt require changes in the constitution. A referendum would be another manipulation, as regardless of the actual vote, it is important who counts and how.